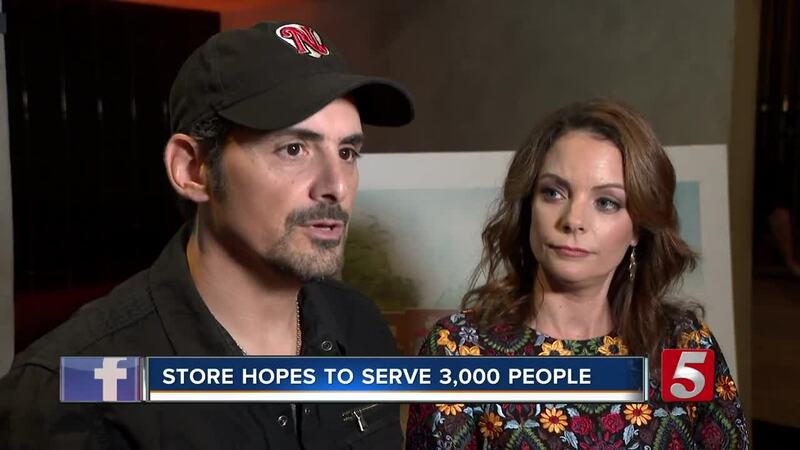 As some Country Music Stars open up bars on Broadway, Brad Paisley and his wife Kimberly Williams-Paisley have decided to take a different route. The powerhouse couple partnered with " The Store ," and will be opening the non-profit free grocery store for those in need. "This is a community effort. We don't want it to be about us. We want to get help from community. We need help to make it sustainable, trying to get investors, donors, etc.," said Kimberly. The idea came to them after visiting a similar store out in Santa Barbara to show their kids the importance of giving back. They decided it would be great to have a store where people could shop for free with dignity here in Nashville, and they're partnering with Belmont to make it happen.